Last month, Nathan Diesel of Kansas City was fishing the Bighorn River with Mike Dufresne of Billings, when Diesel hooked up with what he thought was a 10-lb brown. 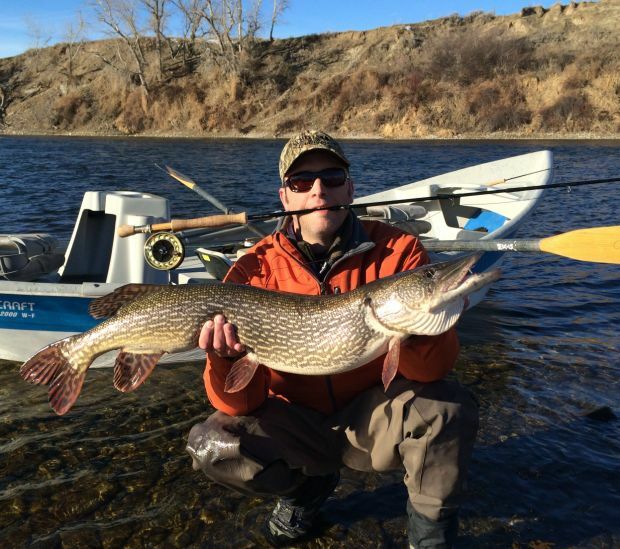 Instead, the fish was a trophy-class 38″ northern pike weighing in at 16 pounds. You can read more about this amazing catch in the Billings Gazette.